This may be an unpopular opinion, but I have had just about enough out of the cast and crew of Game of Thrones. First, Sophie Turner reveals she’s been carrying around a “huge spoiler” in her wallet. 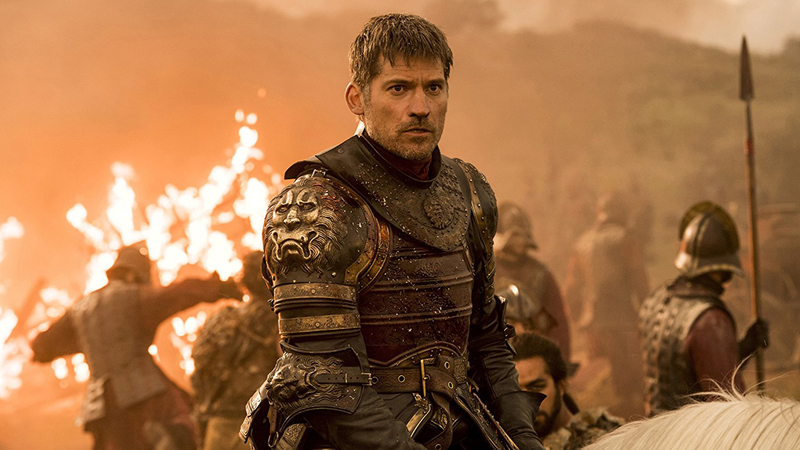 Then, the Thrones showrunners drop a playlist in which the series’ ending is “one hundred percent hidden.” And just today, Nikolaj Coster-Waldau went on Ellen — and dropped a huge spoiler about how the show will end to a gleeful Ellen DeGeneres. Let’s break this all down. Given that Jaime pushed Bran out a window and cost him the use of his legs in Season 1, the two characters aren’t exactly on great terms. Since the incident, they haven’t encountered one another again, but Jaime was last seen riding north — a fact that Bran, as the Three-Eyed Raven, is unlikely to miss. So, given that the actor playing Jaime is awfully pre-occupied with what Bran is up to this season, I’d say it’s likely these characters are headed for a reunion. And if it’s like most GoT reunions, it won’t be pretty. Another popular theory floating around, this time in the form of a YouTube comment, suggests that Bran “saves the world” by looking into the future, seeing how and why they lose the battle to the Night King, then telling them in the present so they can correct their mistakes. We know that this battle is unusual especially due to the Stark sisters’ involvement: Sansa Stark dons armor for the first time, and Maisie Williams confirmed that Arya too will play a pivotal role. So, perhaps Bran’s vision shows them leaving the sisters out of battle as usual, and losing because of it — and that’s why they’re finally allowed to fight. Between all the fan theories and legitimate spoilers out there, Game of Thrones fans who want to be surprised should probably just stay off the internet altogether. For the rest of us, we’ll be poring over Reddit religiously until this Sunday, April 14, at 9 P.M.